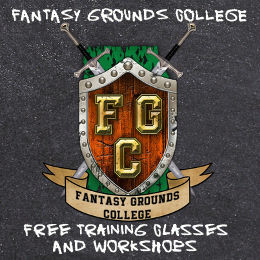 This class will be focusing on the Character Creation within Fantasy Grounds, and towards the creation of an Adventurers League (AL) legal character. You will learn how to register for a DCI number through Wizards of the Coast (WoTC) and then begin creating your level one character for AL following the rules for doing so. 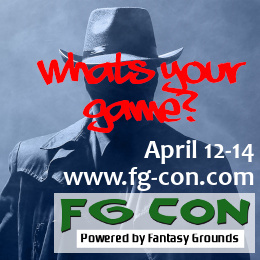 This class will also go over the use of the log sheet that keeps track of the games you have played in and the XP, Gold, Downtime, Renown, and Magic Items you have aquired through your session. We will then take a break for 15 min. and then continue into the run of DDAL07-01: A City on the Edge. 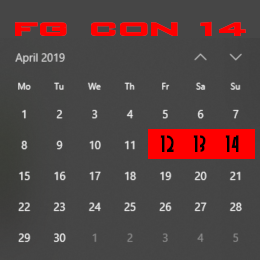 The voice channel that you will be joining for the session will be under FG Con Game Channels, and the voice channel name is Daedhrognir’s FGC/ALO.